These are from a Japanese book, and the text is all in Japanese. I bought the books off eBay, and the person said they were Russian squirrels. The Japanese and Russian flyers are closely related - I'm still trying to learn more about them. But the photos are fantastic, and the flyers are the cutest things I have ever seen! Judy they are just the most precious little furballs ever. The last picture those two almost resemble our Northerns but they are a little lighter grey but still adorable. Thank you for sharing them. Kathy, Baby, Chipper, Major Tom. Rocky and always in my heart Precious and Buddy. There is a Siberian flyer too. I wonder if that's the same as a Russian. 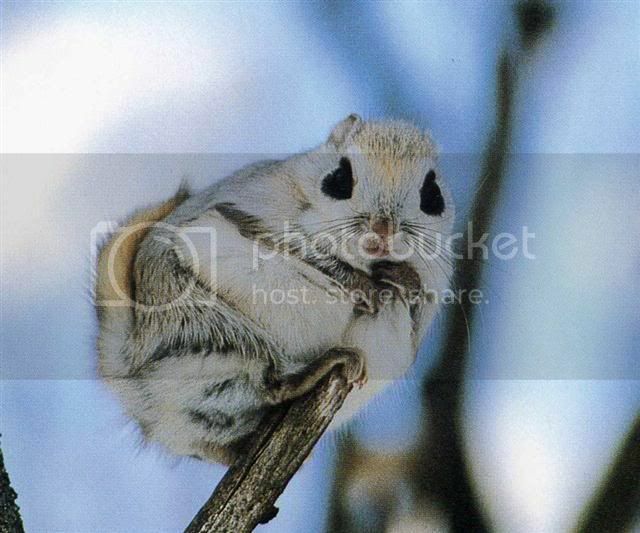 I recently saw a picture of an "albino" flying squirrel & was thinking it was a Russian. Looked more of a frosted color than actual albino. Gloria, I'm with you on that one. How do we get one? Wouldn't it be wonderful to own one. Would it be possible by any stretch of the imagination? I call them the little no-neck flyers. Deb, lovingly owned by Tom Tom, Molly, Munchkin, and m'Deah. And a piece of my heart still owned by my sweet Tiny Tim. They're adorable! I wonder how small they are in comparison to the southerns? They have such pretty coats! They look fat, don't they? I wonder if they are as sweet as our Southern's? They look like they would be bigger. So, okay, who is going to fly to Japan and bring us all one back? Kevin has a friend there. He gave me a book on them, but it's all in Japanese. Joan wrote: Kevin has a friend there. He gave me a book on them, but it's all in Japanese. It's probably one of the books I've got - I bought 3, and they are all in Japanese! I knew they were before I bought them, but I didn't think it would drive me crazy the way it is. Guess I'm just nosey!!! But I sure would like to know what all the text says! Joan, I think we need to take some of the money NFSA has and take a trip to Japan and try our hand at smuggling! Judy C. wrote: ... Joan, I think we need to take some of the money NFSA has and take a trip to Japan and try our hand at smuggling! Now that seems like a worthy cause for the NFSA. 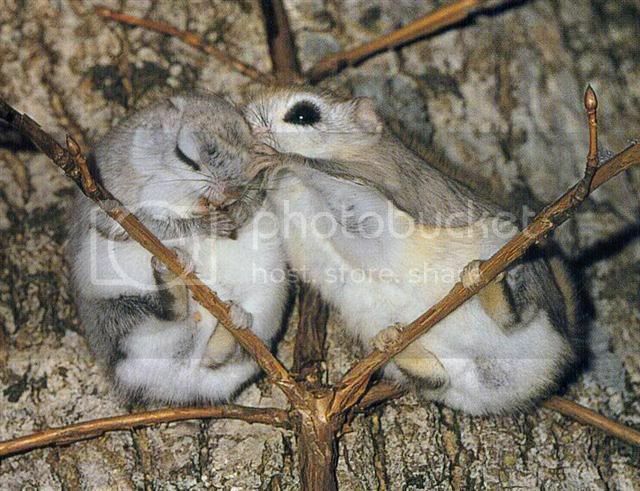 I have a Japanese friend and I think she goes to the Northern Island where these guys live. I'll contact her ... get your winter boots ready. Way to go you guys! That would be a worthy cause for the NFSA and we have a volunteer to go. How many do you think you could smuggle back Judy? Joan, can your friend translate the text in the flyer books? I can scan my books and send them to you for translation. I can be ready to go to Japan with 3 days notice. I should be able to smuggle back quite a few, since I will have an entire suitcase empty for the flyers.....the one I will take packed with food to eat while I am there, 'cause I sure AIN'T EATIN SUSHI!!!!! Judy, I can be ready in only two days. Can I go with you? I can carry more suitcases so we can have more to eat while we are there. [quote="Judy C."]Joan, can your friend translate the text in the flyer books? I can scan my books and send them to you for translation. Actually, my friend is a translator ... for Japanese and American businesses. I haven't talked with her in a couple of years, but will try to track her down. I'll let you know. I'll eat Sushi and keep the containers for flyers ... though those little guys look pretty chubby. Airstreamlady wrote: Judy, I can be ready in only two days. Can I go with you? I can carry more suitcases so we can have more to eat while we are there. Of course, we'll need all the suitcases we can muster. Judy C. wrote: Joan, can your friend translate the text in the flyer books? I can scan my books and send them to you for translation. Hey I think most of the members would pay for a translated copy, I know I would definitely want one. You could sell them to raise funds for your flight to Japan! Deb, I'm RIFL. I'm trying to vision feeding a flyer a copstick. There just might be a "Cop" coming after us with a "Stick" if we don't watch out. I guess we'll need someone to ride shotgun now. Any volunteers 'cause I'm still running with the suitcases full of our food. Airstreamlady wrote: Deb, I'm RIFL. I'm trying to vision feeding a flyer a copstick. I volunteer to ride shotgun!! I'll take another large suitcase to fill with those chunky Japanese flyers. Ok Joan, the trip to Japan is all worked out. Where are our tickets?? OK - more info on the Siberian and Japanese flyers. The two are about the same size. The Siberian is grey in summer, silver in winter. 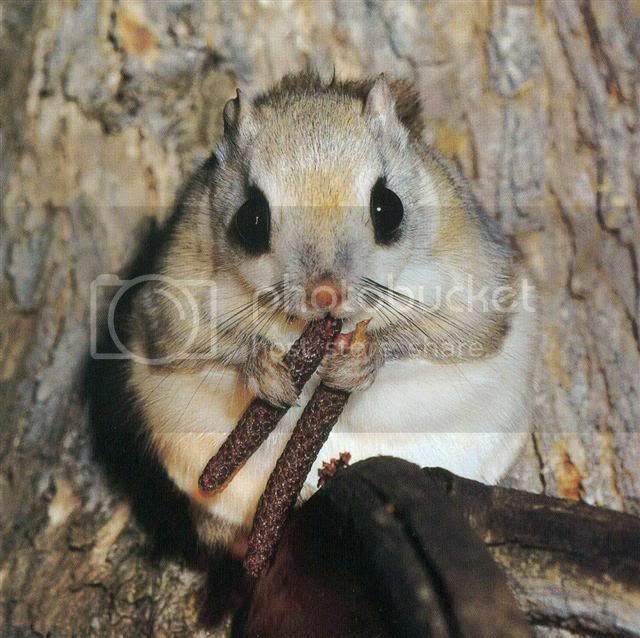 They weigh around 5 to 7 3/4 oz, but are only about 7 or 8 inches long (body and tail). This puts them slightly shorter than the SFS, but twice as heavy!!!! Which is rather scary to imagine! Judy C. wrote: ... This puts them slightly shorter than the SFS, but twice as heavy!!!! Which is rather scary to imagine! They are so cute. I want two of them. A Boy and a girl. I will donate trip money and I have 4 suitcases on wheels that are very roomy. I loved the one pic of the one grooming the other. The face expression is just to precious. Deb, I just couldn't help myself. I knew what you meant , it was just a funny typo. I'm sorry. Sure changed the story around somewhat. Sorry, I translated a type into something I thought was funny. My humor is not funny to others sometimes. They are really cute! They look a lot like our southerns except lighter fur and black eye make-up instead of the white eye make-up that our southerns have. krups1110 wrote: ...They look a lot like our southerns except lighter fur and black eye make-up instead of the white eye make-up that our southerns have. ooo they are sooo cute and chubby!!! they are scary! i would hate to have one of those alpha females jump at me. I'll put in money for the smuggling plans, too!! Delilah and her little Japanese brother would be so cute curled up together!! if you guys get to go to japan and russia, then i want to go on the trip to get those giant red ones from southeast asia! We need some pro. smugglers! Awh, i would so love to have one of those fat, fluffy little cuties! krups1110 wrote: if you guys get to go to japan and russia, then i want to go on the trip to get those giant red ones from southeast asia! Ooo me too! I want them all! OMG I'd love one of those tubby babies... sigh!